Hyacinth DOUBLE - twice as many petite gorgeous flowers to a stem! Hyacinths are the very essence of Spring. These lovely scented trusses are a welcome sight after the long winter. 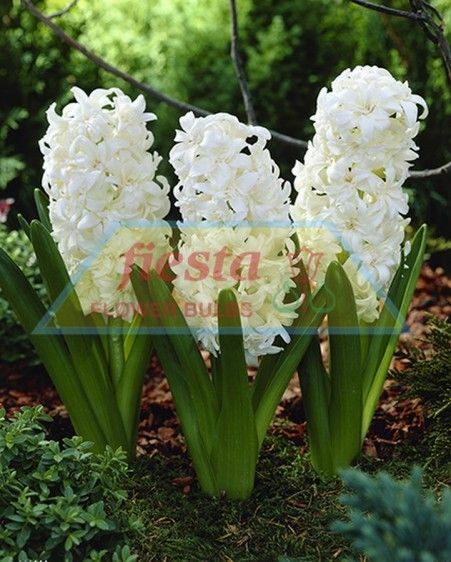 Easily grown in pots and outdoors, Fiesta Hyacinths are all guaranteed to give success. Available from January through to April, they can be planted right up to May. Always planting in a cooler spot, a period of 6 weeks in the fridge (5-6˚C) before planting is advisable in warmer districts. Cut off old flower spikes to encourage bulb growth.